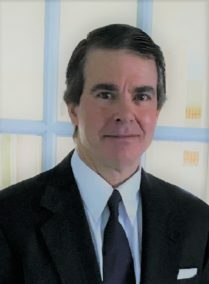 Stephen began his career in the insurance industry working for National Benefit Life Insurance Company in New York and The New England Mutual Insurance Company, which became Met Life. He took on roles of increasing responsibility enhancing his knowledge and skills, while working alongside some of the most highly trained professionals in the insurance industry. Stephen launched his own independent brokerage, Ogden & Co. Insurance and Consulting Services. As an independent, Stephen had the ability to shop the market and offer a variety of benefit solutions for his clients, tailored to meet their needs. Over the years he has continued to adapt to the ever-changing marketplace by updating and expanding Ogden & Company’s services and product offerings to meet the many needs of today’s consumer. Because of Stephen’s expertise and ability to create real relationships with his clients, many of his clients have worked with him for over 25 years, even prior to opening Ogden & Co.
Stephen is always feeding his desire to know more. As a Registered Health Underwriter (RHU), he has been part of in depth studies regarding the intricacies of health plans, which in turn works in the favor of clients who come to Ogden & Co. He stays on top of the many market trends, regulatory environment and legislative changes. Spending most of his career running his own business, Stephen knows the importance of the client relationship and customizing solutions to meet individual and group needs. A key focus in recent years has been the growing Senior market. For the past fifteen years, Stephen has been using his extensive knowledge and expertise to help clients navigate the complexities of transitioning to Medicare. Stephen lives in Little Silver with his wife and his two sons. Trained as a surface supply diver, Stephen is an avid fan of exercise, the ocean and our beaches. Over the years he has been a contributor to Clean Ocean Action and the Surfers’ Alliance. When not focused on his clients, Stephen likes to spend time with his wife and 2 sons at the Jersey Shore, skiing or traveling to terrific surf spots.